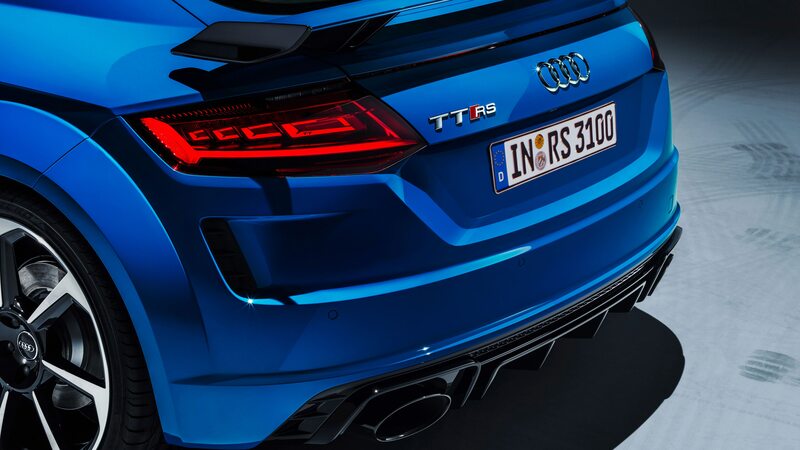 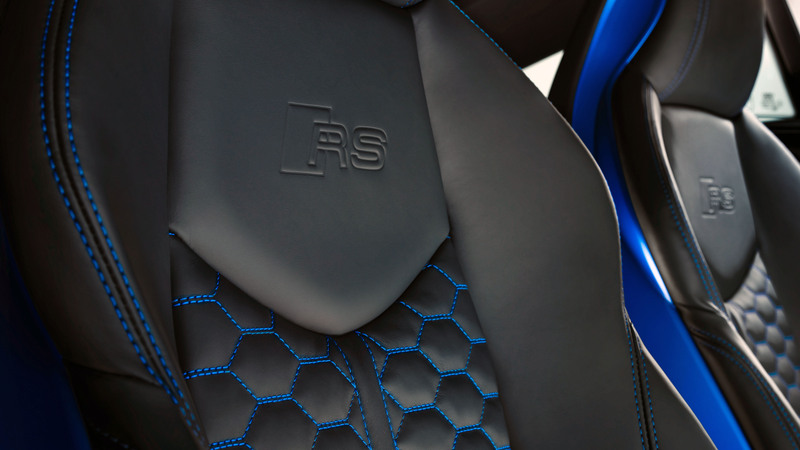 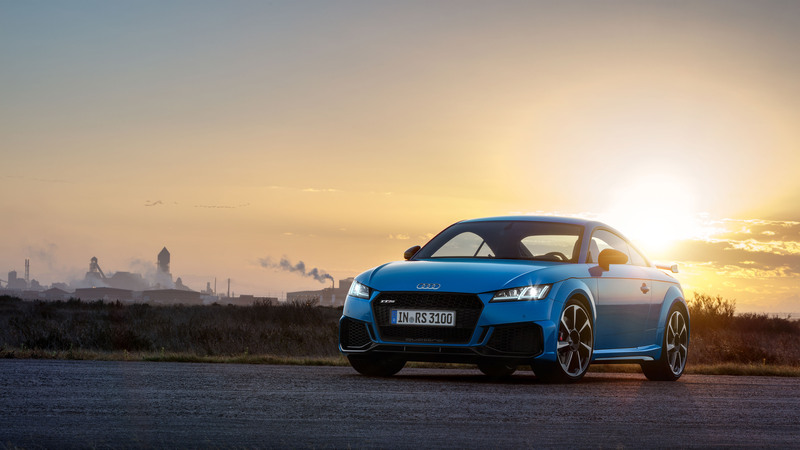 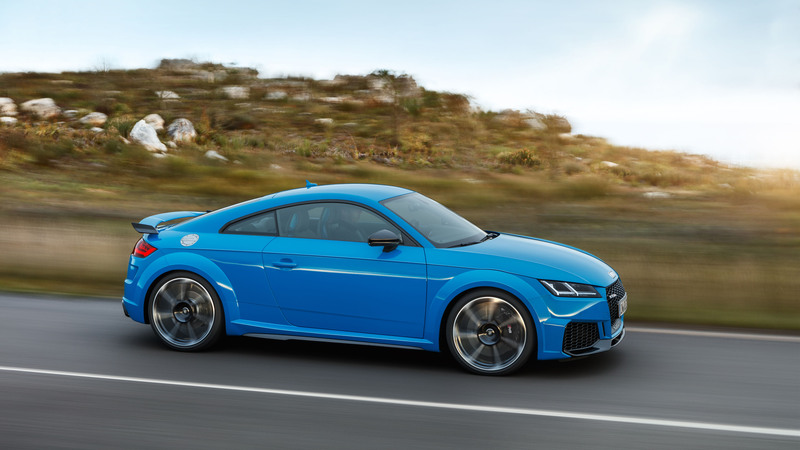 Having already made a splash in Europe, the 2019 Audi TT RS for Americans has now been detailed and will make its in-the-metal debut at NYC’s Javits Center for next week’s big New York auto show. 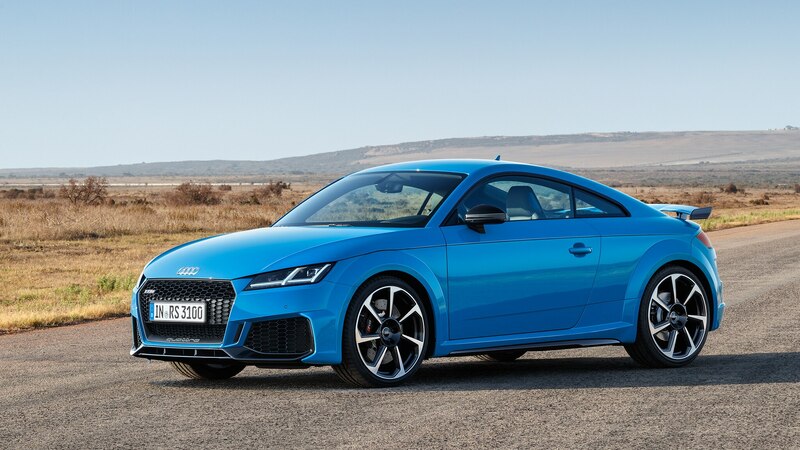 In addition to showing off the latest TT RS’s tweaked front and rear fascias, Audi announced its starting price: $67,895. 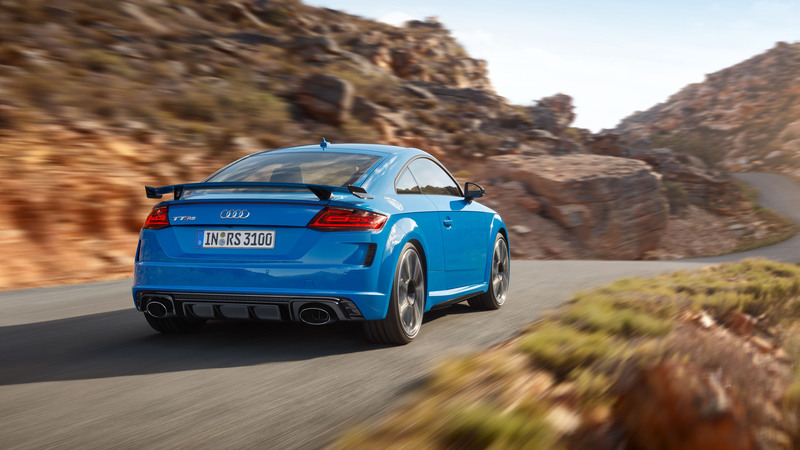 Under the hood, a 2.5-liter turbocharged inline five-cylinder engine packs 394 horsepower and 354 lb-ft of torque. 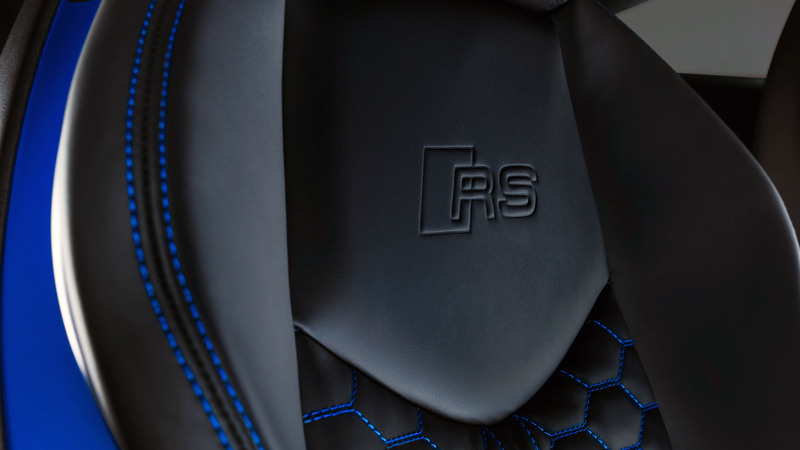 The fiver is mated to a seven-speed dual-clutch automatic transmission and can scoot from zero-to-sixty mph in a scorching 3.6 seconds. 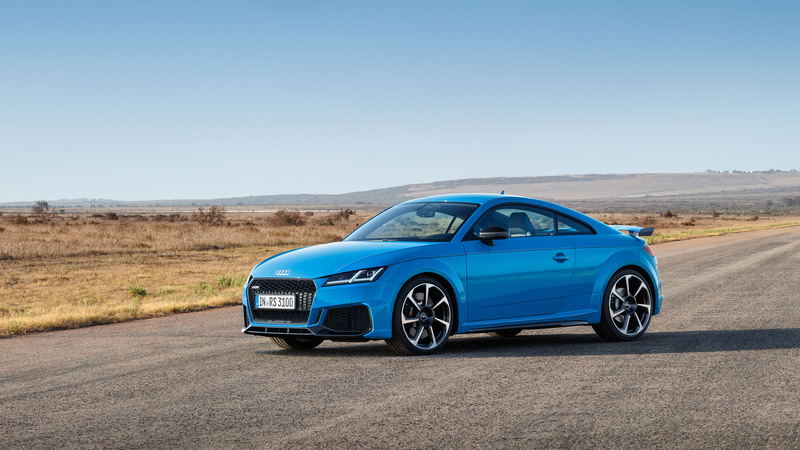 Last year’s model was among the contenders for our 2018 All-Stars awards, proving to be offer five-cylinders’ worth of hellacious fun. 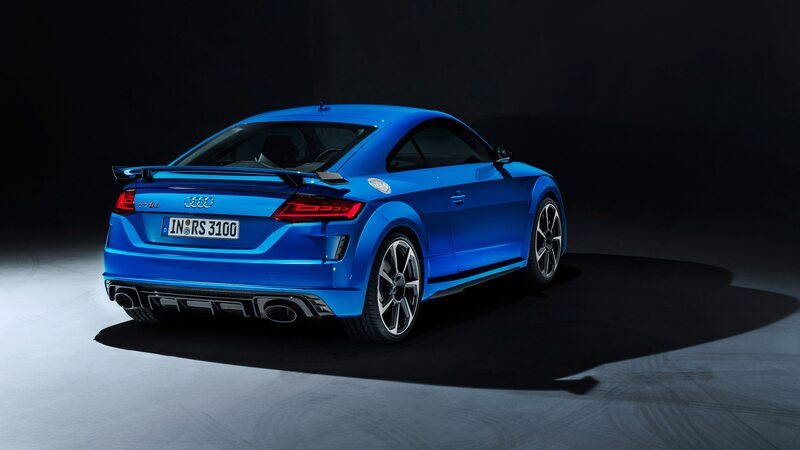 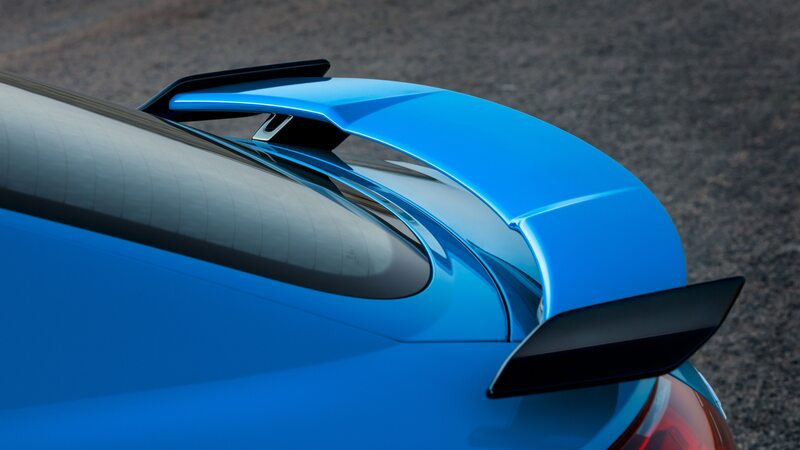 As before, the latest version of the coupe sports a matte-black honeycomb grille, a fixed rear spoiler, and large oval tailpipes. 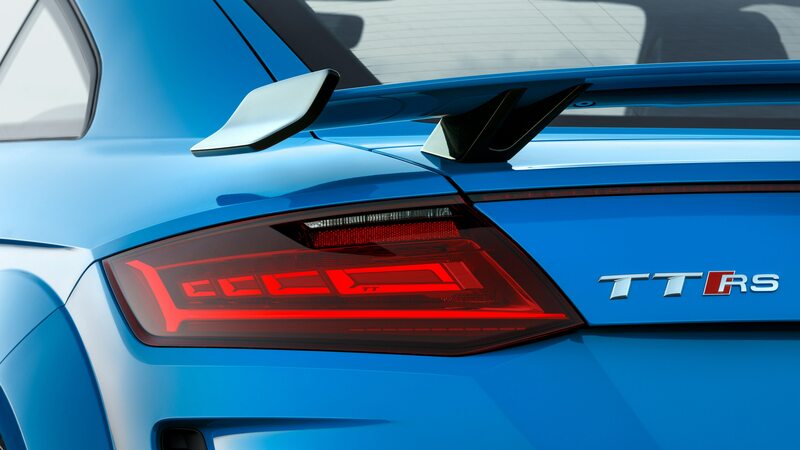 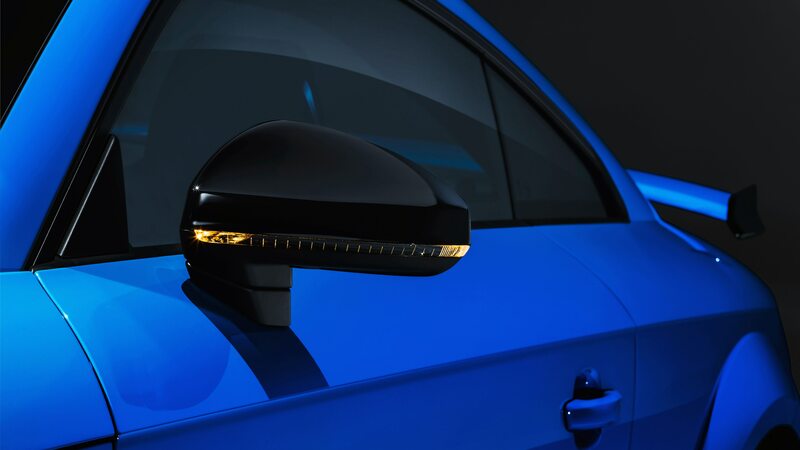 It’s available in seven shades and new for this year’s model are Turbo Blue (seen here), Tango Red metallic, and Kyalami Green. 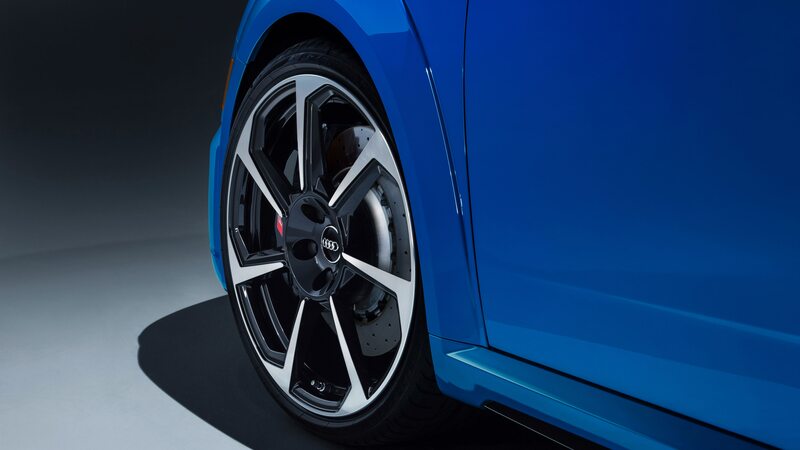 It rolls on standard 19-inch sport wheels with a titanium matte finish and summer performance rubber. 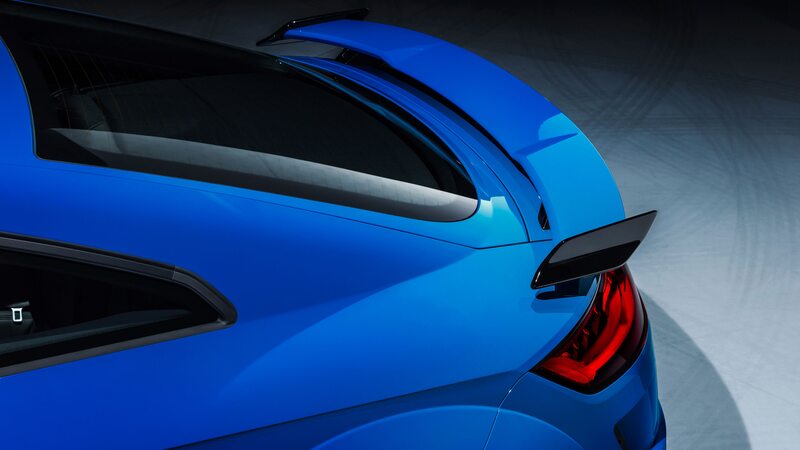 Buyers also can opt for 20s with red-painted brake calipers and a Sport exhaust with black tips. 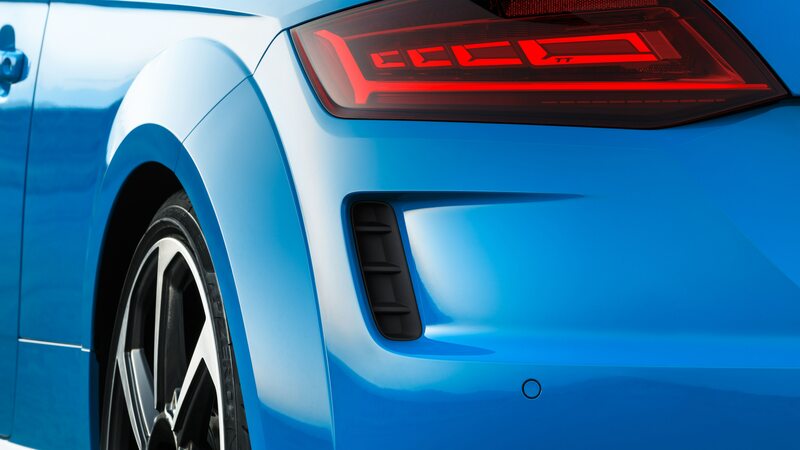 Inside there are heated leather sport seats, leather trim on the doors and dash, wireless phone charging, and Audi’s Virtual Cockpit as standard. 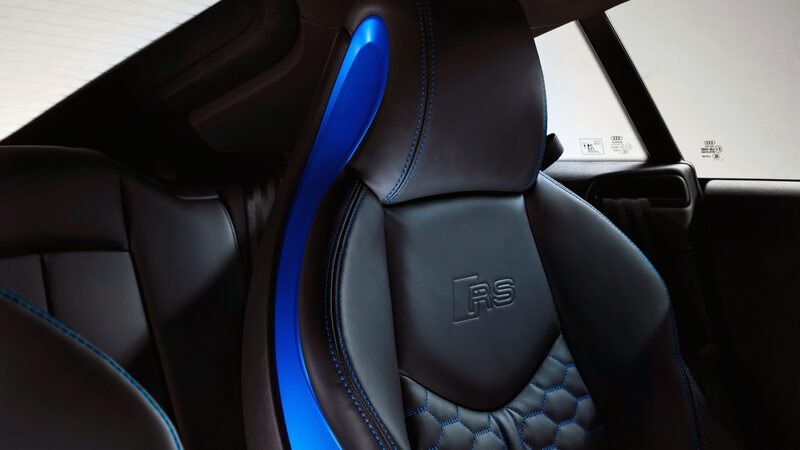 A Bang & Olufsen sound system cranks out 680 watts for your listening pleasure. 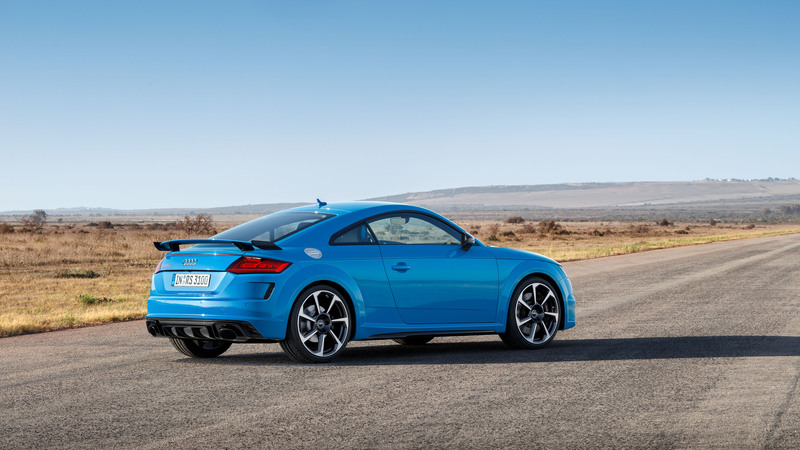 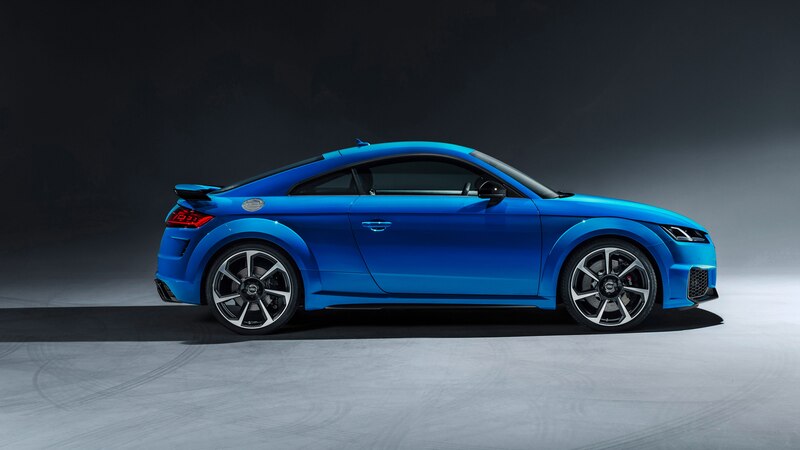 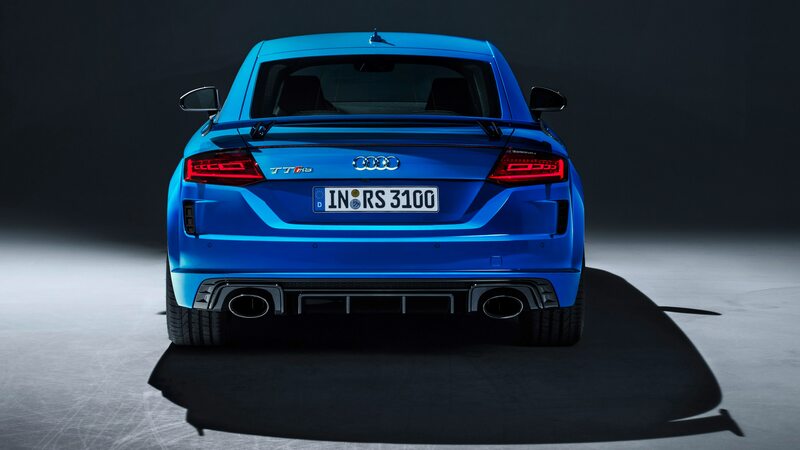 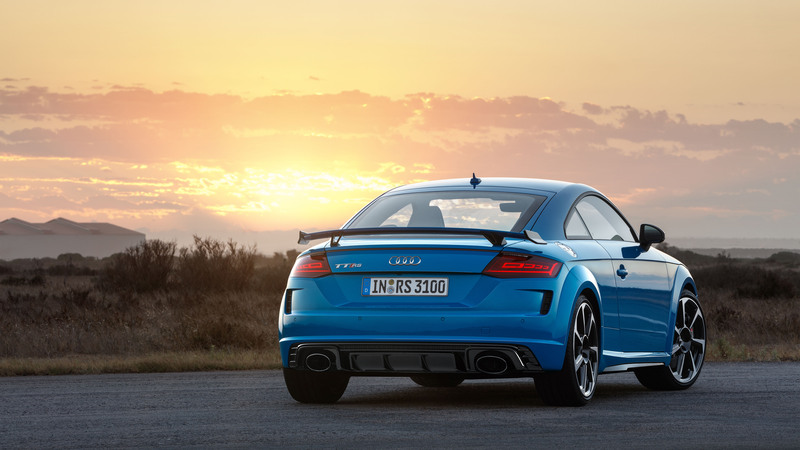 The TT RS goes on sale this spring.